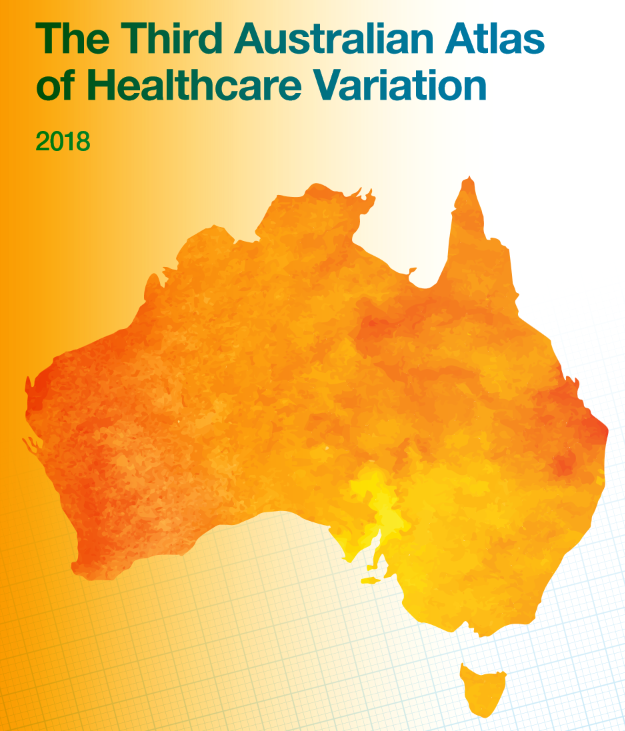 High rates of early planned caesarean sections in healthy pregnancies and of antibiotic use among children and proton pump inhibitor (PPI) medicines in infants are highlighted as major concerns in The Third Australian Atlas of Healthcare Variation, launched today. The Atlas, which examines differences in health care use according to where people live within Australia, is produced by the Australian Commission on Safety and Quality in Health Care in partnership with the Australian Institute of Health and Welfare. The third Atlas has found that in some places in Australia as many as one in five planned births occurred before 37 weeks gestation, significantly increasing the risk of adverse health and childhood development outcomes. It also found high overall rates of antibiotic dispensing for children – triple those in countries like Norway and the Netherlands – and in some cases reflux medicine, exposing them in later years to increased risks of conditions including asthma, gastroenteritis, pneumonia and food allergies. The Atlas also examines national patterns in medicines use over time for four common groups of medicines: antipsychotics, opioids, antimicrobials and medications for attention deficit hyperactivity disorder (ADHD). It says a more detailed exploration of these data will be published in 2019 but initial findings show more work is still needed to reduce their overuse. Despite higher rates of heart disease, people living in regional areas have lower rates of cardiac stress tests and imaging than people in major cities. The Commission’s Clinical Director Professor Anne Duggan said in a statement that while some variation in health care use by area is expected given the needs of different populations, wide variations can be a sign that some people are getting health care that they don’t need while others may be missing out on the healthcare that they do need. “Previous Atlases have identified unwarranted variations in care prompting changes to the delivery of common medical procedures including knee surgery and colonoscopy. The data and recommendations in this Atlas will be used by clinicians, consumers, policymakers, and researchers across Australia to deliver equally important improvements in health care,” she said. Below are some of the key findings, and responses from leading health organisations, including the Consumers Health Forum of Australia and the Australian Healthcare and Hospitals Association. We will update this as more responses are published. Here’s a quick look at the key findings and recommendations. long-term developmental problems, poorer school performance and attention deficit hyperactivity disorder (ADHD). It found that 42-60 per cent of planned caesarean section births performed before 39 weeks, and 10-22 per cent of planned caesarean section births performed before 37 weeks, did not have a medical or obstetric indication. for those performed before 37 weeks the percentage was 20 per cent for private patients versus 14 per cent for public. The Commission said the very high rates of antibiotic dispensing in Australian children – equivalent to one prescription annually for every child – suggest that antibiotics are frequently prescribed inappropriately, such as to treat viral infections where they have no benefit. Research links antibiotic use to changes in a child’s normal gut bacteria and an increased risk of a number of conditions in later years including asthma, Crohn’s disease and weight gain, it said. For infants 1 year and under, the Atlas found a four-fold difference between the lowest and highest rates in PBS dispensing of proton pump inhibitor (PPI) medicines, which can also adversely affect the gut bacteria and have been linked to increased risk of infections such as gastroenteritis and pneumonia and to food allergies. “PPI medicines are being used to treat general symptoms such as irritability, crying and colic, despite evidence that they are usually not effective in these situations,” Duggan said. The Atlas also detected wide variations in two of the most common medical procedures performed in Australia – gastroscopy and colonoscopy. It found a clear anomaly between cancer burden and use of investigations for gastrointestinal diseases in Australia, the Commission said. Hospitalisation rates for inpatient colonoscopy were 7.4 times higher in the area with the highest rate compared to the area with the lowest rate – suggesting that some people may be exposed to unnecessary risk from the procedure while others risk potential harm because a necessary procedure is not being performed. people living in areas of low socioeconomic status. The Atlas found that rates of gastroscopy have risen nearly 3 percent per year from 2008 to 2017, despite low and stable rates of oesophageal and stomach cancers, saying it’s a pattern that suggests overuse of gastroscopy. Rates of gastroscopy were 7.4 times as high in the area with the highest rate compared to the area with the lowest rate, while lower rates of gastroscopy for Aboriginal and Torres Strait Islander Australians warrant further investigation, it said. “Both these procedures are often performed by the same doctor, so gastroscopies that are of limited benefit should be minimised, and that theatre time allocated to people with a greater need for a timely colonoscopy, who might otherwise miss out on a potentially life-saving cancer diagnosis,” Duggan said. The rate of antipsychotic medicines dispensing to people aged 65 years and over was mapped in the first Atlas in 2015, which found very high rates of prescribing. This year’s Atlas found that while prescription rates have decreased during the four-year period since, the volume of antipsychotics supplied on any given day in Australia community remained stable, indicating little overall change during this period. “A repeat analysis of the prescribing of antipsychotic medicines to Australians aged 65 and over indicates that this continues to be a problem. The 2015 Atlas identified overuse of these medicines, with concerns they were being used for behavioural symptoms such as dementia or delirium,” it said. Health groups once again welcomed the Atlas, which highlights where changes are most needed to improve equity of access to needed care and to reduce the potential harm and waste resulting from unnecessary prescriptions and procedures, according to the Australian Healthcare and Hospitals Association (AHHA). In its statement, the Consumers Health Forum of Australia highlighted the high rates of antibiotic dispensing for children and of early caesarians. “It is disturbing that the unjustifiable and excessive use of these treatments exposing children to significant and perhaps lifelong harms is happening in some but not other parts of Australia and points to the necessity for more effective medical and community education,” the CHF CEO Leanne Wells said. “Choosing an early caesarean over natural delivery can be the result of anxiety concerning the relatively rare risk of still birth or for other legitimate medical reasons, yet awareness and consideration of the long-term consequences for the infant may not be well-understood. This dilemma emphasises the necessity of doctor and patient to be aware of the value of informed consent and the benefits of shared decision making. “While parents, unaware of the risks, may press doctors to prescribe potentially harmful treatments, it should be the unquestionable responsibility of the doctor to act in the best interests of the health of mother and child, both during the peri and post-natal period and the early years of a child’s development. The Australian College of Nursing said the extensive research captured in the Atlas must inform our health planning to address the health inequalities individuals and communities experience across Australia. “As we head into 2019, we must prioritise policies that will remove gaps in health equality associated with where people live, affordability of care, or cultural or language barriers.” See its statement. In a Facebook post, the Australian Health Care Reform Alliance says the three Atlas publications to date are an “illuminating series that discloses disturbing patterns of inequity” and says the latest has made many recommendations for improving health care for under-served groups with specific conditions. But it warns also that “models of care and prevention need to be rethought to address health inequities in a systematic way”.